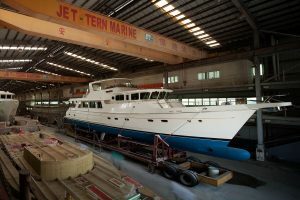 We design and build our yachts, in our factory from the first drum of resin and roll of cloth to the upholstery of the salon! 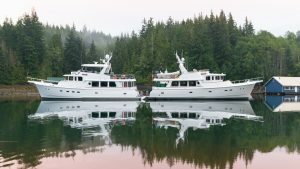 We don’t subcontract the work to a third-party “partner shipyard” like many other brands. We have built over 400 yachts to date. Howard Chen continues to remain intimately involved with every project and likes nothing better than coming up with new ideas to refresh his designs. If you decide to buy a new Selene yacht you can be sure that it will come with very personal attention from Howard and his staff. 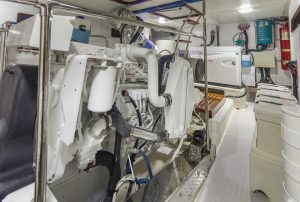 Knowing that a Selene Yacht owner often has to be both the captain and engineer of the vessel, we have invested a lot of time in the design of our engine rooms, which are regarded in the industry as best in their class with good access, plenty of room to work around the systems, with ease of maintenance and service in mind. We install only first class electrical brands for batteries, generators, inverters, chargers, light fixtures, etc. 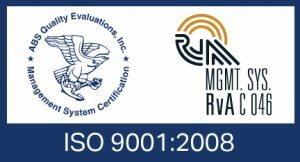 Our engineering team is always ready to assist our owners in the sizing of their yacht’s electrical system with the desired level of redundancy depending on how the yacht is going to be used. The design incorporates the fuel efficiency of a full-displacement hull. A full-displacement hull is designed to remain fully in the water throughout its entire range of speed. This requires a fraction of the horsepower that semi-displacement or planing hull requires to attain optimum speed. A full-displacement hull will be capable of maintaining speeds in the 7- to l2-knot range while burning a minimum of fuel. ◊ A Portuguese bridge and high bulwarks for the safety of everyone on board. ◊ Forward raked windows in the pilothouse make for better visibility in sun or rain and provide greater head room at the helm, not to mention a commanding view. ◊ Beautiful cabinetry with teak or cherry wood. ◊ Large storage spaces for spare parts and provisioning. ◊ Escape hatches in critical locations. ◊ Solid hull lamination under the waterline, no foam, no core. ◊ Covered aft deck, cockpit and side decks. ◊ Optional hardtop on the flybridge. ◊ High quality stainless-steel equipment, installed on our yachts, is fabricated in our workshops with premium polished 316 steel. Our yachts maintain their value because of the quality of construction and materials used. 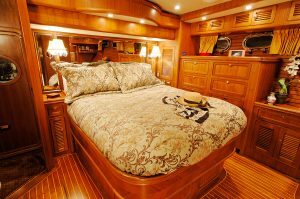 Twenty years after launching, the interior of a Selene Yacht will look as good as new.